Teaching might sound like a modest career to some, but in South Korea teachers who play their cards right take home millions. 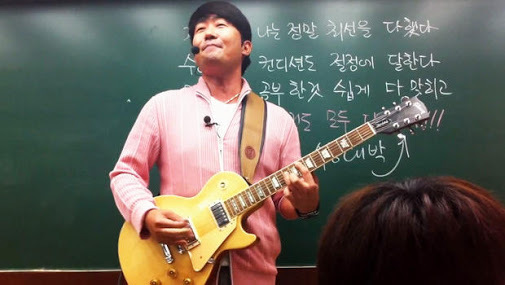 Some South Korean teachers have brand endorsements, others stylists, and some recruit the country’s leading pop stars to help them with lessons. One teacher says he pockets $8 million a year. How do they do it? These aren’t your regular teachers. In fact, these teachers aren’t even employed by schools. They’re celebrity teachers, each with their own brand. Because South Korea’s educational climate is so competitive, students often double their study efforts after they get out of school in the afternoons. Most students pay to attend private after-school “cram schools” called hagwons, which focus on getting students ready for South Korea’s college entrance exams. A hagwon can cost upwards of $600 for a 20-week session, although online hagwons are more reasonably priced at about $49. In this popular private sector, teaching turns lucrative. Hagwons have developed into a $20 billion industry. Math teacher Cha Kil-yong is one of these teaching sensations. 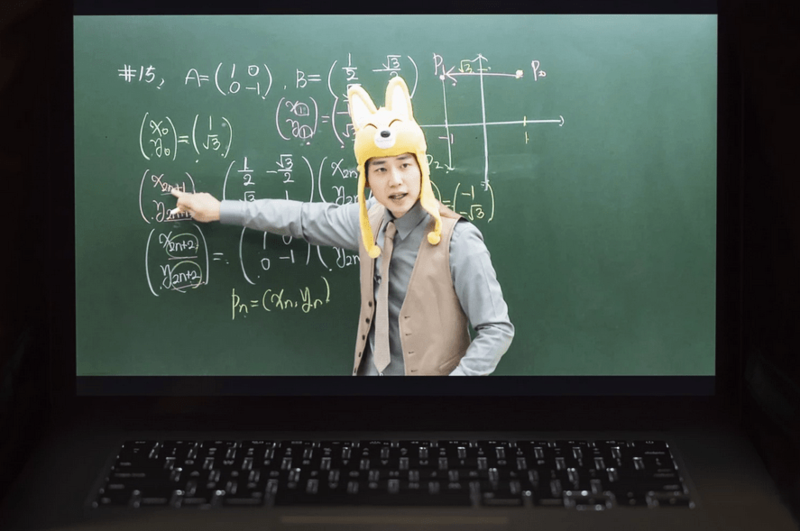 He has 300,000 students registered in his online class, SevenEdu, at a time. He gives students tips for solving problems more efficiently, on top of showing them a few tricks for excelling on exams. He has certainly taken that mantra to heart. He recently released a YouTube video about the SATs with an A-list Korean actress to bring attention and fun to his classroom and material. Because of the money flowing in for these private teachers, they sink a lot of time into developing methods to compete against each other and win the minds of students. This is, ostensibly, a value passed down to students who benefit from cutting-edge, risk-taking teachers. Certainly, the Organization for Economic Cooperation and Development regularly ranks South Korean students among the highest in the world in math, reading and science. However, despite this high performance, South Korean students lead the world in a different category: students who aren’t interested in or satisfied with school. Not only that, but South Korea has the highest suicide rate in the industrialized world. No research has conclusively linked the pressure-filled education system to this data, but the government is starting to take notice. Hagwons are now required by law to close at 10:00pm. And the President is aiming to promote a “creative economy,” which would eventually mean putting less weight on standardized testing when considering individuals for jobs and school, and more on extracurricular activities, portfolios, and leadership skills — something many Western nations already do. Though change may be on the horizon for South Korea, for now the nation’s hagwon teachers are enjoying their moment. They’re celebrities in their own right, with fan clubs and bank accounts to prove it. So if you’re a teacher and you want to strike it big, moving to South Korea might not be such a bad idea. This entry was posted in Community, Education, Lifestyle, News, Opinion, Politics, Popular culture, Public School, Social Issues, Social Media, Society, Teachers, Top Stories and tagged Cha Kil-yong, Korean teachers, South Korea, South Korean pop by aristotlethewise. Bookmark the permalink.